At the end of third Punic Wars (around 210 BC) Romans became unquestionable rulers of the island. This swap of power also started the longest period of prosperity lasting almost to the end of the Roman Imperium. Unlike other conquerors, Romans did not uproot Hellenistic culture, but rather adopted the best of it for their own benefits. 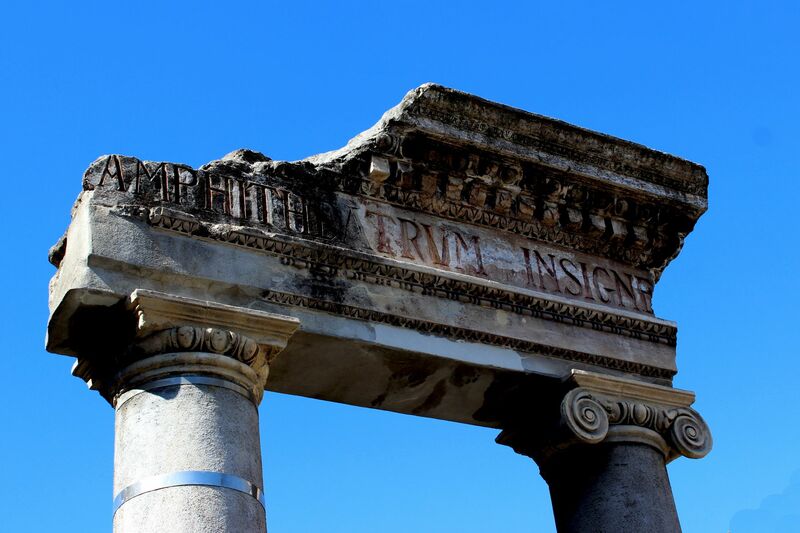 Long after taking the control of Sicily by Romans, Greek’s language and their truly advanced culture have been kept alive in Sicilian society. 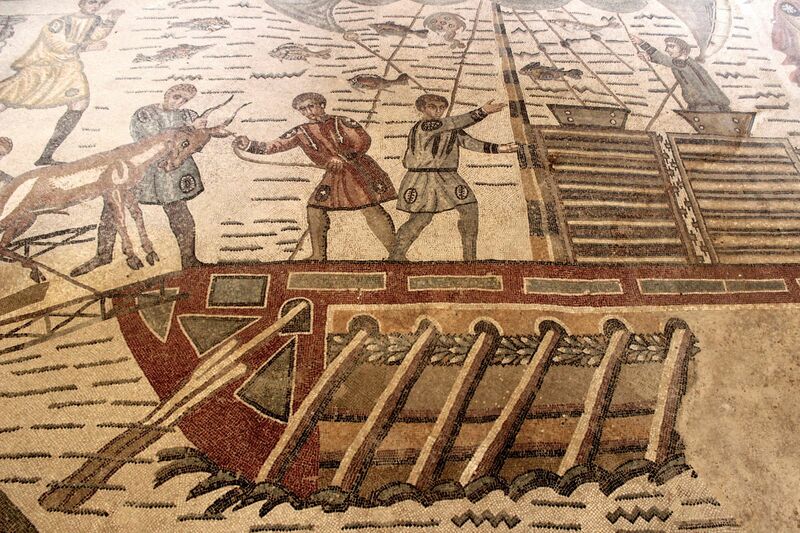 Sicily as never before profited from its position in the center of the Roman Imperium. For almost six centuries it was surrounded and protected by an impenetrable buffer of Roman Provinces and outposts all along the African coast, Middle East, Asia Minor and Iberian Peninsula. But with the collapse of Roman Empire in the 5th Century AD, Sicily was quickly overrun by Vandals (Germanic tribes). “Dark times” ended with integration of the island into Byzantium Empire in the middle of 6th century AD. Christianity came to Sicily with Roman Imperium, however over the following centuries despite island’s “geographical” closeness to Rome it took strong Byzantine “flavor” clearly visible throughout churches across the island. 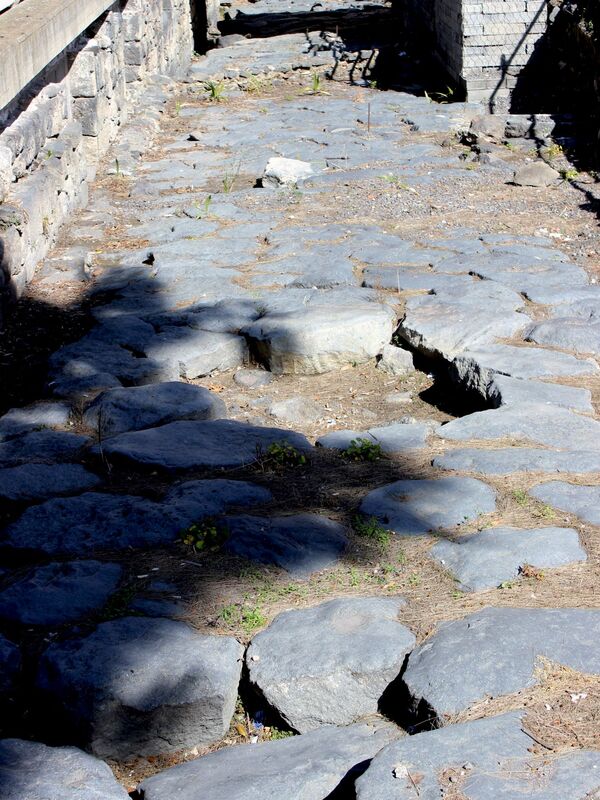 It may be surprising but in general Roman presence on Sicilian land is not as well preserved as the Greek’s one. 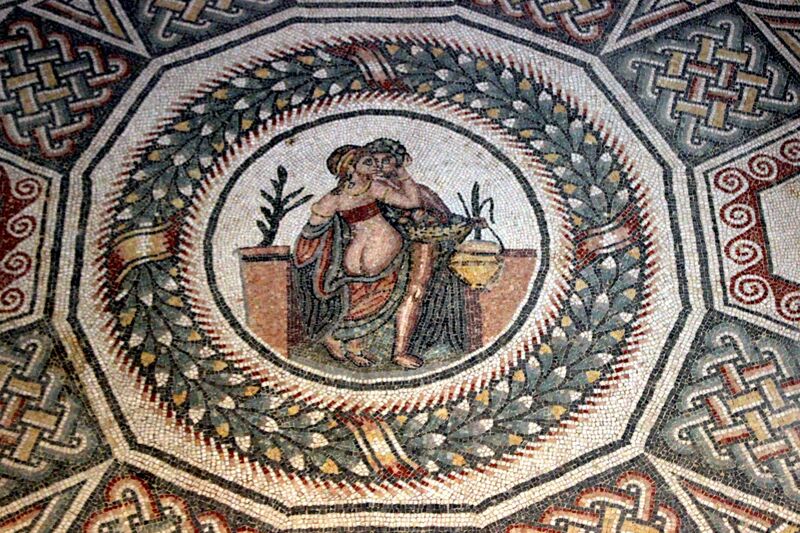 Villa Romana del Casale (next to Piazza Armerina) is undoubtedly the most famous and truly spectacular Roman treasure in Sicily. This luxurious residence from about 4th century AD belonging to rich Roman nobleman (most likely Maximianus Erculeus) holds World’s largest, most complex and best preserved mosaics from the Roman era. 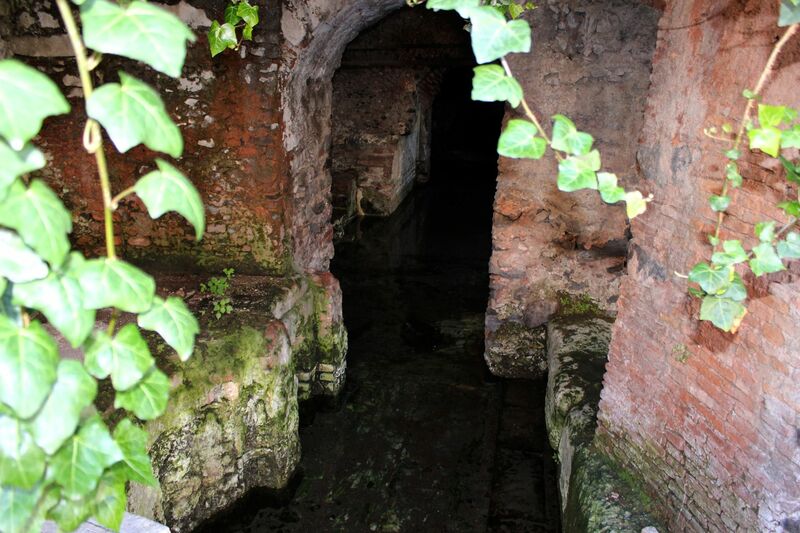 Otherwise, the Roman times are witnessed by numerous amphitheaters and baths. 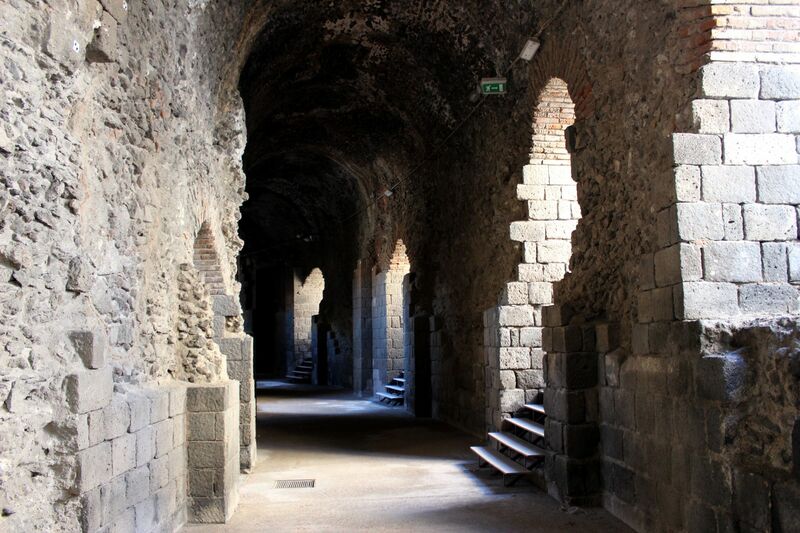 Some of the best preserved can be found in Catania. The ruins on Piazza Stesicoro display only small fragment of at the time 2nd largest Roman amphitheater after Rome’s Colloseum (its major part is covered by urban infrastructure). Another impressive (and in much better shape) Roman amphitheater and Odeon is located on Via Vittorio Emanuele. 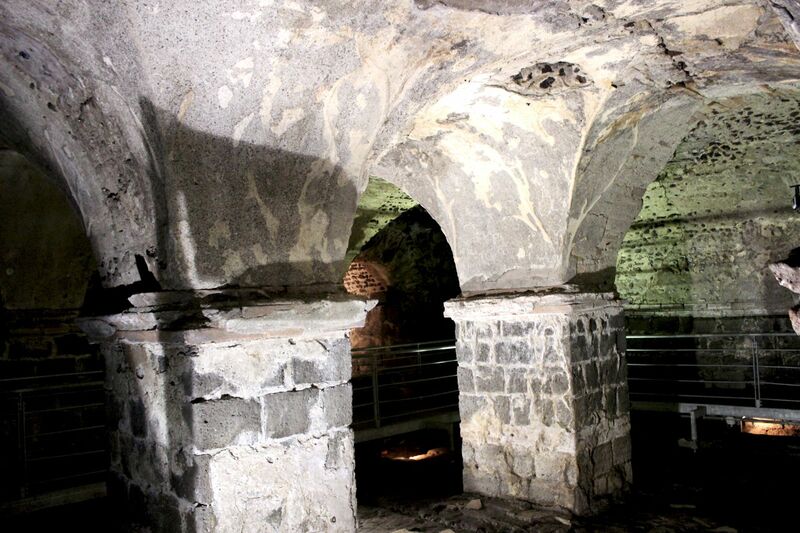 It’s also worth to visit “Thermae of Achilles” - Roman baths located under the Cathedral. 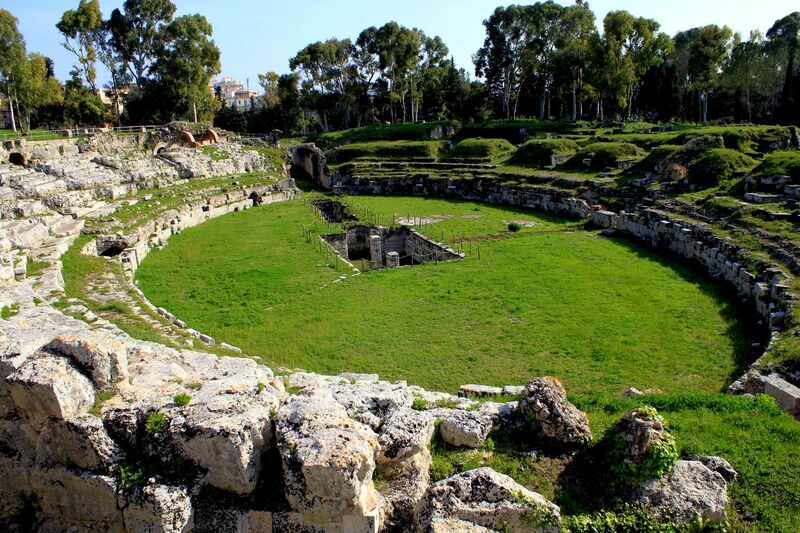 Syracuse is home to both - Greek and Roman amphitheaters located next to each other. While the immense Greek amphitheater recently underwent restoration and is used for life-performances, the Roman one is in ruins…. 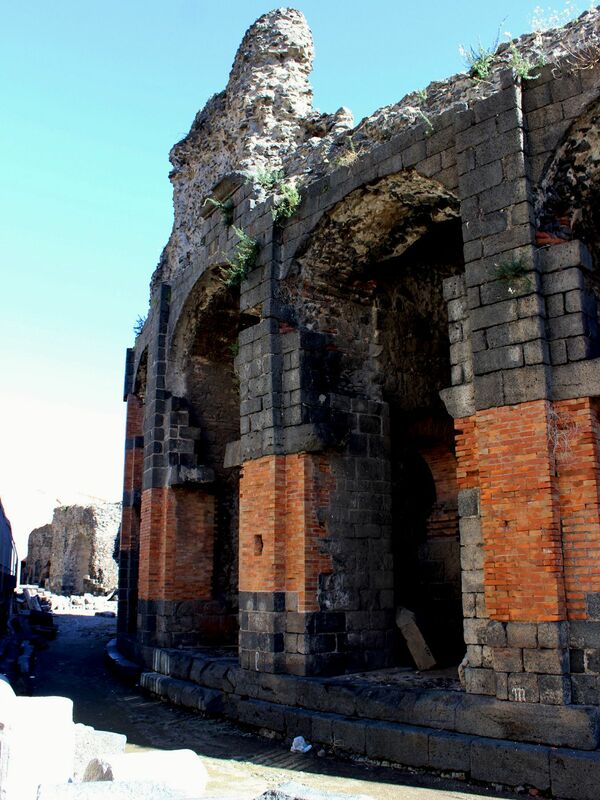 The amphitheater in Taormina is an adaptation of an earlier Greek structure to Roman needs (keep in mind that Greek’s amphitheaters were designed for cultural events, Romans used them also for all kind of fighting (sea battles, wild animals, gladiators…) so they needed special infrastructure).